There are so many things you can learn about someone simply by observing them. You don’t have reach out of your comfort zone and ask them directly because so much can be learned by their fashion, their posture, their body language and the way they cut their nails. This is especially handy in Japanese society when being direct can be seen as extremely rude. Seriously. The sushi-eating habits of Japanese men are apparently so transparent that you can fairly accurately slot them into an earnings bracket just by asking what their favorite neta is. This expert advice comes from “elite business man” Mr. M, who told RocketNews24 that spent an entire month observing sushi diners in order to come up with his theory. 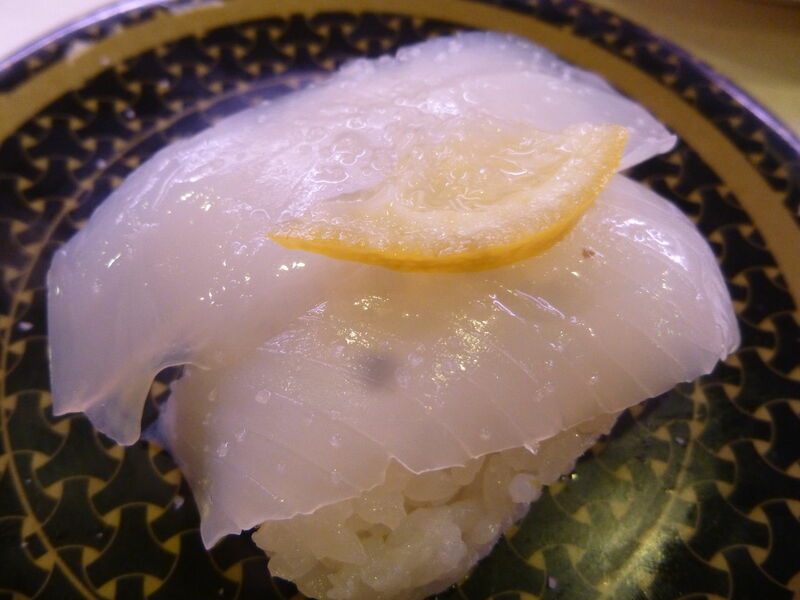 Mr. M says that by watching which nigiri (hand-pressed sushi) men eat and observing their ordering habits, he can come up with a guess of a man’s salary accurate to within about 10,000 yen (about US$920). So, Japanese men, where does your favorite sushi land you on Salary of Sushi chart? For people who are unemployed and thus have very little extra money, if they eat sushi, it’s going to be sushi from the supermarket or convenience store. Since there isn’t a lot of variety in supermarket sushi, these people will invariably go with tuna as their favorite because it seems classy. With only a bit of disposable income to spend on sushi, these men will often stick to kaiten-zushi conveyor-belt sushi. This usually means that sushi is about 100 yen (US$0.92) per plate. These men will often order the “famous” dishes from there, which are generally salmon or avocado shrimp. Mr. M also found a tendency for these men to order sushi that is geared towards children. This range of middle class income earners has more choice when choosing a sushi restaurant. While most will still go to a conveyor belt sushi restaurant, they will often go to more expensive places which feature a larger assortment of sushi, since they aren’t limited to 100 yen a plate. Many businessmen in this bracket will also say sushi that use “salt” as an extra topping is their favorite. Businessmen who earn over $70,000 a year have a fair bit of disposable income and often, but not always, like to spend it. These men generally don’t order sushi in large amounts, but specifically choose to eat certain ones. These particular sushi are generally known as pre-Edo period sushi and were quite popular with people who worked jobs of skill. As these skills demanded higher pay, those people could afford these more expensive sushi. The same still applies today, as professions such as architect and engineer command this kind of salary. In this salary bracket, men often find themselves paying for other people’s meals as well. Whether it’s family or friends, or the special lady they are courting. According to Mr. M, women with a taste for money often like sea urchin or fatty tuna, so being able to say “I know a good place that has sea urchin” is vital to your “game”. You’ve got to know how to please the lady, and the lady gets what they lady wants. When you ask men who make this much money what their favorite sushi is, they often won’t have an answer. This might be because they are financially able to eat whatever they want. When pressed, they may answer that the sushi shop they pass by on the way to work will do. Those who make 20 million yen and up will most likely respond with sushi restaurants in Ginza or another similar area where you would likely spend 10,000 to 20,000 yen (about $100-$200) per person. For those who close in on the 100,000,000 yen (about $1,000,000) they will skip over Ginza completely and mention their favorite sushi restaurant lies in Kanazawa, Ishikawa to the northwest of Tokyo, a popular spot for Japanese celebrities and sushi connoisseurs. There you have it! A totally foolproof way (not really) of assessing the approximate income of a potential mate! Who’s the mysterious Mr. M (maybe the “M” stands for “Mysterious”?) who was willing to divulge this secret information? ▼This is the only picture we were allowed to take of him. As you can tell, sometimes, throwaway conversations like “What’s your favorite sushi?” say a lot about you! So next time someone asks you a seemingly innocent question, be careful; it might just reveal your deepest, darkest secrets!